Analyst Mark Kalinowski told CNBC that he predicts "same-store sales for the company will continue to grow"
In this March 30, 2017 file photo, a Quarter Pounder hamburger is served at a McDonald's restaurant in Effingham, Illinois. 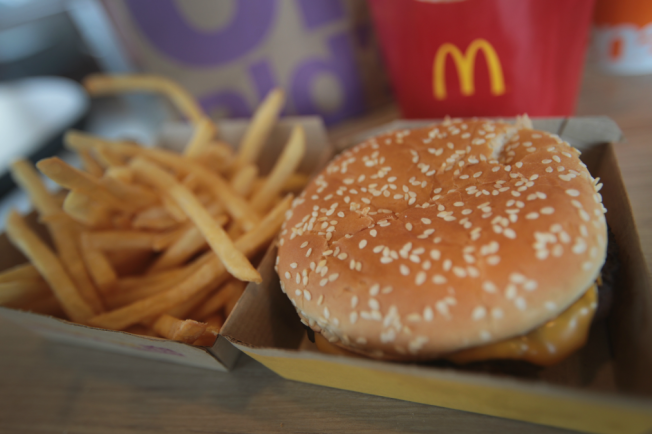 The combination of McDonald's planned rollout of fresh, never-frozen beef, its recent relaunch of its Dollar Menu and woes at other restaurant chains could help the restaurant boost its same-store sales and grab more market share in the industry, CNBC reported. The burger giant's stock ended 2017 up more than 41 percent, the largest stock move in the restaurant industry during the year, and more than one analyst is calling for more gains in the new year. Analyst Mark Kalinowski told CNBC that he predicts "same-store sales for the company will continue to grow, particularly in the second half of this year."